Email signatures are an easy way for letting the Email recipients of you to know about you, where you set up a default signature which includes itself in every sent mail of yours, just like a business card. This option has been there is almost all the mail services, and even the mail applications in mobile phones and their operating systems, including the iOS. 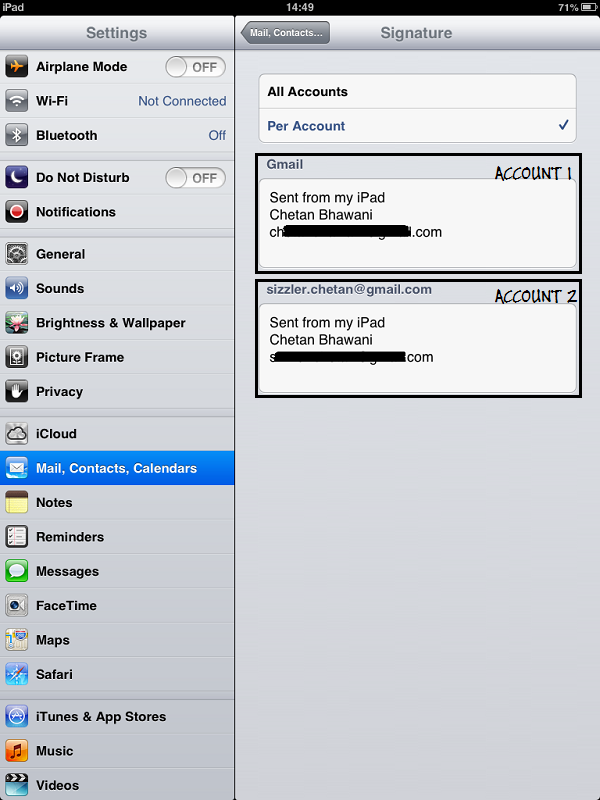 The iOS versions earlier to the iOS 6 had the signature option but a common signature for all the mail accounts that you add in the iOS devices like the iPhone, iPad etc. 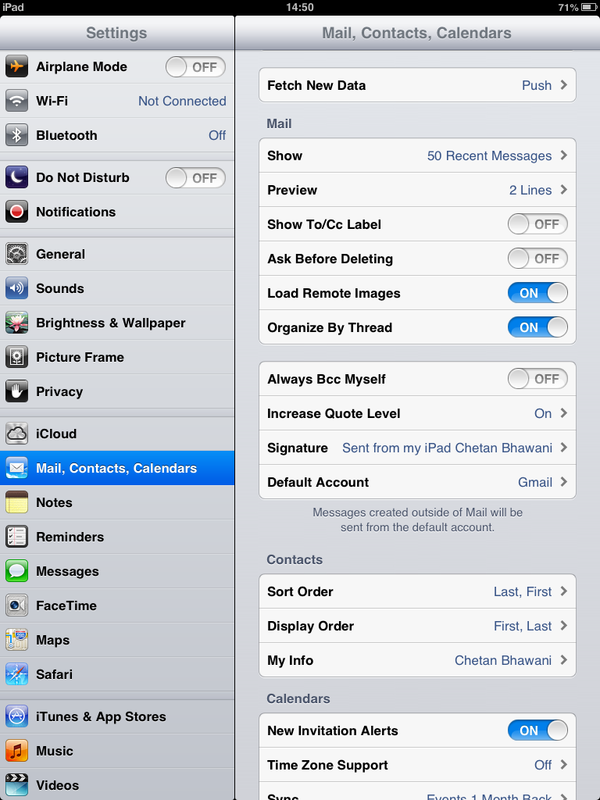 Go to the Settings section in your iOS device, and then go to the section named “Mail, Contacts, Calendars”. In this section, under the Mail area there is an option called “Signature” below the Increase Quote Level option. Select that to go to the Signature setup options. In the Signature section, you would see two options – All Accounts and Per Account. If you want to have the same Email signature for all the options of yours, you can select All Accounts and set a single signature, but here we are talking about separate email signatures for each Mail account. Go to “Per Account”, and there you would automatically see the various Email accounts listed one below the other, with the text boxes for each so that you can set up the signature for each account individually, as shown in the picture below. As shown below, we used the 1st account of ours to compose an email, and the signature gets included automatically, and we can even edit the signature manually while typing the mail which is advantageous when you quickly wanted to remove or add a line or two when sending an email to particular contact. The above tutorial works only for the iOS versions 6.0 and above, i.e. the 6.0.1 and 6.0.2 and all the devices including the Apple iPhone, iPad, iPod Touch and the iPad Mini. 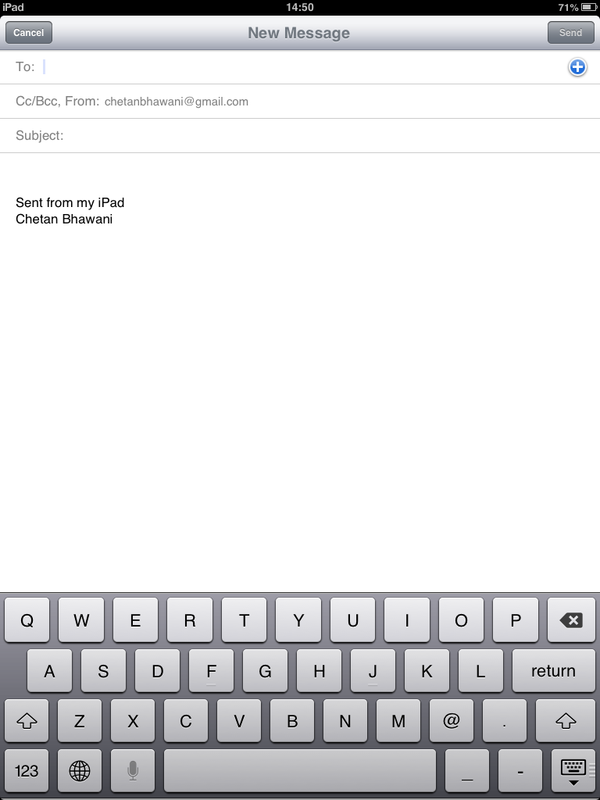 The above screenshots were taken from an Apple iPad Mini, with the iOS 6.0.2 installed in it.